Two days ago, news broke that the Astros and Phillies were nearing an agreement that would send flame throwing closer Ken Giles to Houston in exchange for package of prospects that included outfielder Derek Fisher. Today, we find out that Fisher is not involved and his replacement is right-handed pitcher Mark Appel, who was the top overall selection in the 2013 draft. Appel is the second top overall pick to be dealt this week following the Dansby Swanson/Shelby Miller trade on Tuesday evening. Let’s take a closer look at the players changing hands. Houston acquiring: Ken Giles and Jonathan Arauz. Philadelphia acquiring: Mark Appel, Thomas Eshelman, Vincent Velasquez, Brett Oberholtzer, and Harold Arauz. Giles is the obvious best player changing hands at present value. At just 25 years old, and under control through 2021, Giles had a 1.56 ERA in his first two seasons in Philly. Giles stepped into the closer role and saved 15 games after the Phillies moved Jonathan Papelbon at the deadline last season. Giles owns a fastball that sits in the upper 90’s while touching triple digits, and a slider that’s a true out-pitch. Seventeen year old middle infielder Jonathan Arauz joins Giles on the trek to Houston. Arauz is likely a year away from full season ball and hit .254/.309/.370 in Rookie ball last season. Headlining the return for Philadelphia is right-handed pitcher Mark Appel. Appel has the distinction of being a first round pedigree…twice! Following his junior year at Stanford, Appel was selected 8th overall by the Pittsburgh Pirates in 2012 but failed to sign, returned to the Cardinal for his senior season and was popped first overall by Houston in 2013. After showing promise in his pro debut in 2013, Appel stumbled mightily out of the gate in 2014. Appel posted a dreadful 9.74 ERA, .372 batting average against and 15.0 H/9 in 12 starts in the hitter friendly California League. Midseason adjustments and an unearned promotion to AA proved to settle Appel and he finished strong. Fairing better in 2015, Appel finished with a 10-3 record and 4.37 ERA between AA and AAA, but his stuff was still hittable, surrendering 9.2 H/9 while striking out just 7.5 hitters per 9 innings. While Appel will make his debut with the Phillies at some point in 2016 and could prove to be a work horse mid rotation innings eater, his stock has taken a hit since turning pro, and he’s already 24 years old. The Astros are also sending right-handed pitcher Thomas Eshelman to Philadelphia. 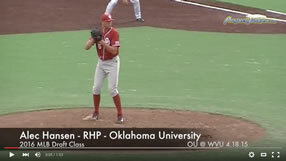 Selected 46th overall this past June out of Cal State Fullerton, Eshelman’s calling card is his top of the scale control which I highlighted in more detail in this pre-draft scouting report. Eshelman sits at just 88-90 with his fastball but can locate well to both sides of the plate and his curveball and changeup are both a tick above average. He commands all three offerings to the tune of 0.44 BB/9 and 17.33 K/BB ratios during his college career. Vince Velasquez was a second rounder out of Pamona (Ca.) in 2010 and made his debut with the Astros in 2015, pitching well in a limited role that included 7 starts. Velasquez has a fastball that sits in the mid to low 90’s, and has a good feel for a changeup but his curveball is a work in progress. Brett Oberholtzer gives the Phillies veteran arm in this return. The righty bounced between AAA and Houston last season and will give the Phillies another arm that will need to log innings on a team that should lose 100 games next season. Harold Arauz, no relation to Jonathan, went 0-5 with a 5.75 ERA last season in the Low-A New York Penn League. So you probably want to know who won this trade. Unlike the Swanson/Miller trade, this one is a draw. The Astros used an incredibly deep farm system to land a closer under club control for years to come, while the Phillies unloaded their biggest asset for a nice haul that includes three guys (Appel, Eshelman, and Velasquez) whom I feel will have solid MLB careers. The Phillies are clearly working to rebuild through pitching and this move is a positive step in furtherance of that goal. * crediting David Lesky on pointing out these draft facts on Twitter.